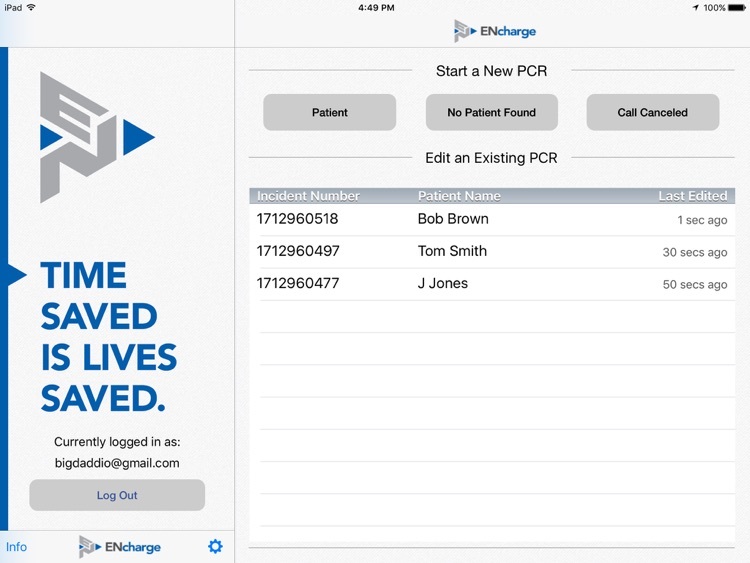 ENcharge is an innovative patient care reporting system from Emergency Networking designed specifically with emergency services personnel in mind. 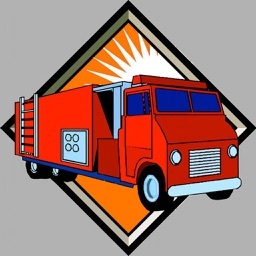 Creating accurate, detailed incident reports has never been faster. 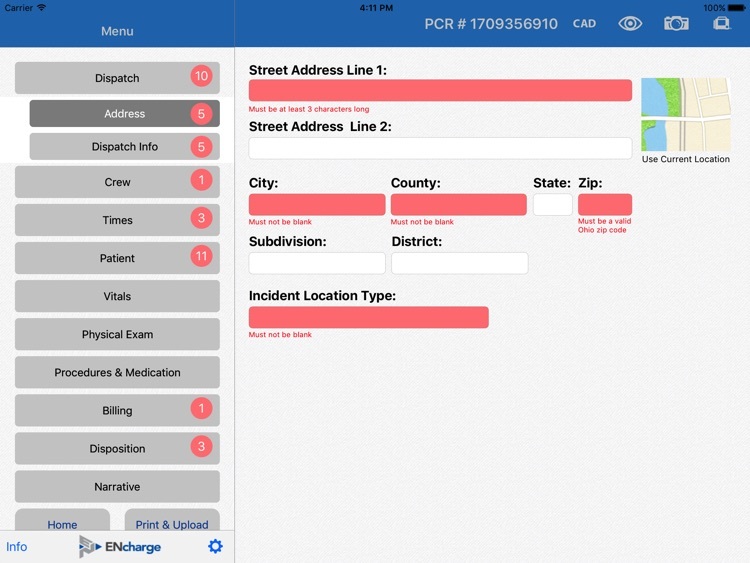 Our iPad-based PCR solution was designed by a team of firefighters and paramedics with more than 30 years of field experience. 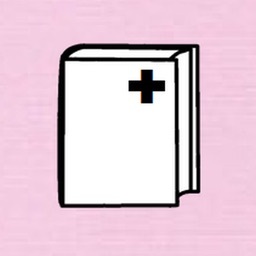 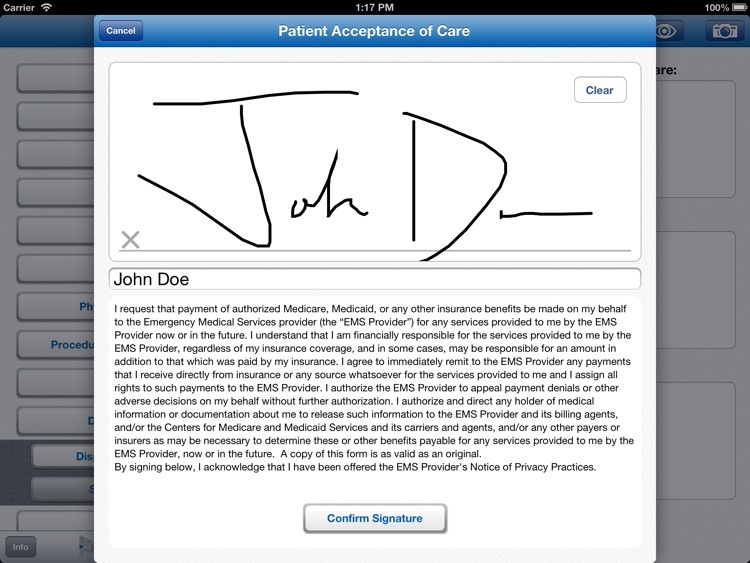 ENcharge features a simple user interface ensuring more accurate and complete patient care reports, all while reducing hospital turn-around time. 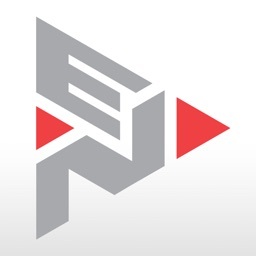 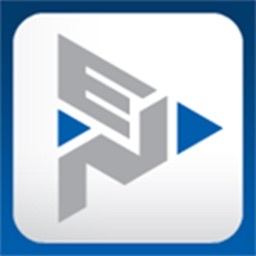 With an Emergency Networking account, patient care reports can be uploaded directly from the ENcharge app and accessed anytime at www.emergencynetworking.com. 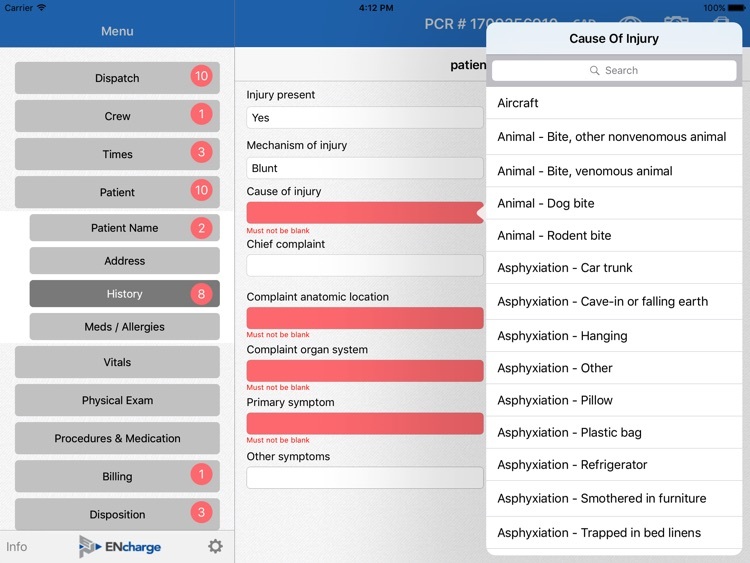 Administrators can review PCRs for accuracy and quality control, export data files for reporting to the Ohio EMS Incident Reporting System, and generate customized reports from all of their PCR data. 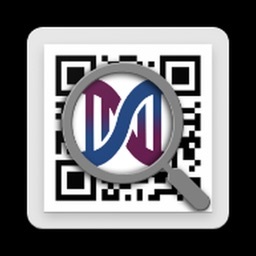 • Real-time validation of PCR data ensures that reports will be accepted by EMSIRS. 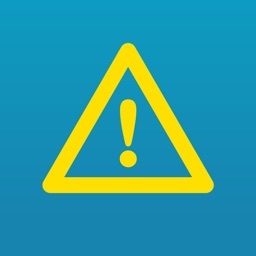 Errors are prominently displayed with color changes and clear explanations. 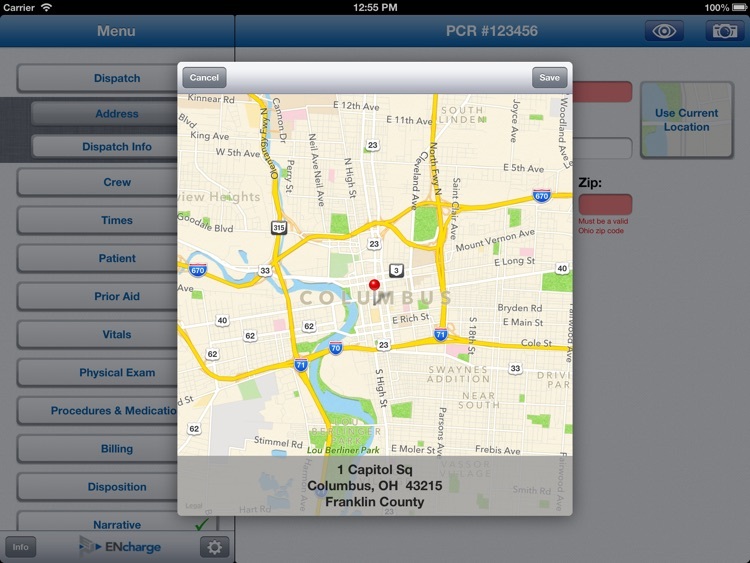 ENcharge is specifically designed to work with Ohio EMS Incident Reporting System.